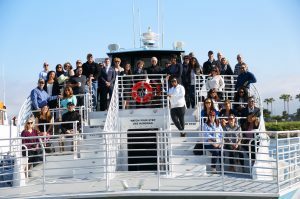 The Leadership Long Beach Institute Class of 2019 will get a tour of the Port of Long Beach, the 2nd busiest port in the nation, on Monday, April 1st and we are inviting everyone interested in getting a ‘Behind the Scenes’ tour and get a chance to learn more about Leadership Long Beach. 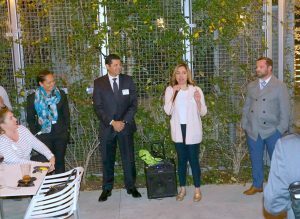 Leadership Long Beach hosted a happy hour information session about our principled leadership programs and how through those programs graduate have learned more about Long Beach and how they can become more connected in the community. Nearly 75 people were in attendance at The Hubb, the outdoor patio area located behind 100 W Broadway in Downtown Long Beach. For the ninth consecutive year, Leadership Long Beach is organizing the Long Beach MLK Day of Service to allow residents to make it a “Day On, not a Day Off” to honor the legacy of Dr. Martin Luther King, Jr. on the national holiday. With the sponsorship and support of the Port of Long Beach, the office of Mayor Robert Garcia, and Councilman Al Austin, there will be 16 service projects for everyone of all ages to do service in the morning and then have the rest of the holiday to enjoy. Register for a service project today and join us for the kickoff rally at Scherer Park that morning before you begin your service. 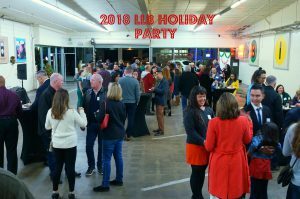 Over 100 LLB alumni, family and friends attended the 2018 LLB Holiday Party at Looffs Lite-A-Line on Monday, December 17th. At this iconic Long Beach location, the evening festivities included plenty of food, drink and merriment for all, plus it provided the unique experience of playing the Lite-A-Line game. 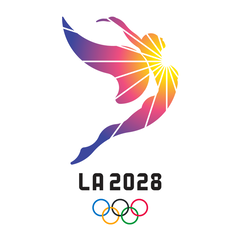 Mayor Robert Garcia (LLBI ’03) made a presentation and preview of the 2028 Olympic Games for Los Angeles and the plans for the city of Long Beach. It was an early opportunity to learn about the scope and impact on Long Beach when the Olympic Games return to Southern California in 10 years. Thanks to the Leadership Long Beach alumni, family and friends who came out to volunteer at the 2018 Jet Blue Long Beach Marathon at the 7.5 Mile Water Station on Sunday, October 7. We had the opportunity to help cheer on and serve the 15,000 runners, bikers and walkers that accepted the challenge of competing in the half and full marathons. 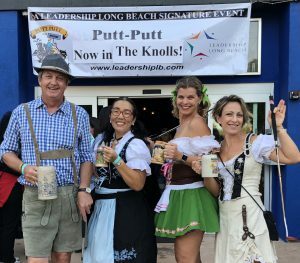 Leadership Long Beach’s signature event, Putt-Putt, returned with nearly 150 golfers playing in the ‘wacky and fun miniature’ golf tournament hosted by Bixby Knolls businesses. Putt-Putt in the Knolls saw Bixby Knolls businesses and locations create and host unique mini-golf holes for the golfers to play. There were 20 locations as we spread the golfers over two, 10-hole courses. We had groups of golfers form teams around wacky themes. 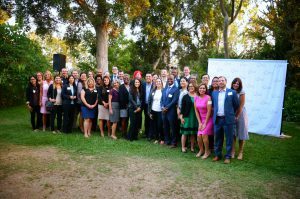 Leadership Long Beach began our 30th year anniversary with the Community Welcome Reception on Monday, August 27th at Rancho Los Cerritos. Over 200 people were in attendance for this large community event we highlighted the beginning of our 30 years of principled leadership programs. In addition to introducing the Institute Class of 2019, the 30th Institute program for LLB, the gathering heard from some members of the inaugural class of 1990. 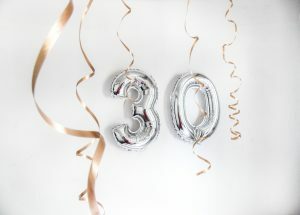 We will celebrate the beginning of our 30th year this July 17, 2018 with a city-wide “Birthday party.” Throughout the day, alumni and supporters of the organization will meet up at various local businesses – including Lola’s Mexican Cuisine, Parkers’ Lighthouse, and Berlin Bistro – to toast to the success of the organization over the last 30 years and ring in the next 30 years. 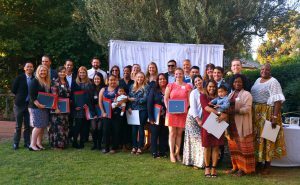 The graduation ceremony for the 29th Institute Class of Leadership Long Beach on Monday, June 18th was held at the home of Pat Murphy, LLBI ’03, near Virginia Country Club. 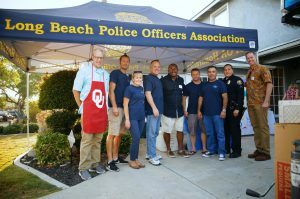 The 30 class members have completed their 10-month principled leadership program learning more about Long Beach and completing projects that addressed community needs that they learned about during the year. 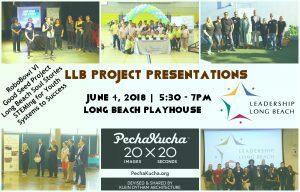 The Institute Class of 2018 and the Youth Leadership Long Beach Class of 2018 will present their projects to the community during a PechaKucha Night. Using the PechaKucha 20×20 format—a simple presentation format where a presenter shows 20 images, each for 20 seconds—the four adult project teams – Good Seed, Long Beach Soul Stories, STEMing for Youth, and Systems to Success event workshops – plus the YLLB project, RoboBowl VI, will have their timed presentations ready. 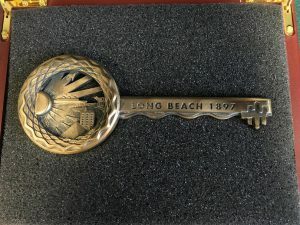 Leadership Long Beach received the Key to the City from Mayor Robert Garcia prior to the City Council meeting on Tuesday, April 3rd in the Council Chambers. Nearly 100 alumni and supporters of the organization were present to witness this historic occasion as our 30th Anniversary activities and celebration begin later this year. 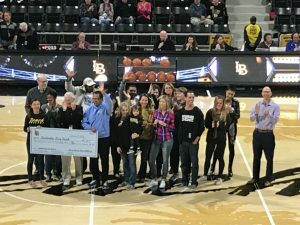 Thanks to the nearly 100 alumni, family and friends who joined us for the CSULB basketball game on Thursday, February 15 at the Walter Pyramid. This event was a successful fundraiser for our Youth Leadership Long Beach program to help provide some additional funds for their service project, RoboBowl 6. 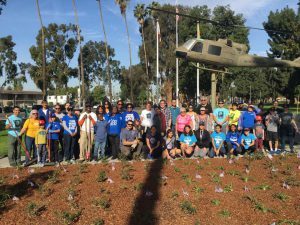 Long Beach residents, family and friends of all ages came out to make it a “Day On, not a Day Off,” on Monday, January 15 as part of the MLK National Day of Service in Long Beach. 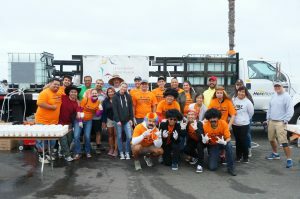 More than 200 volunteers participated in one of nine services projects coordinated by Leadership Long Beach and supported by the Office of the Mayor Robert Garcia, Vice Mayor Rex Richardson, the Port of Long Beach and a host of civic and community organizations. 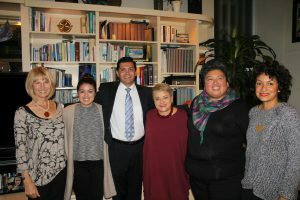 Dr. Lourdes I. Ramos, President and CEO of the Museum of Latin American Art, spoke to a gathering of Leadership Long Beach alumni at the home of Marianne Venieris, LLBI ’97, on Monday, November 27th. This Fireside Chat provided a great opportunity for our alumni to meet with one of the leaders of the art cultural institutions in Long Beach.